Hope International University is committed to building a sense community around great food and fellowship, in a comfortable and welcoming environment. We offer residents a variety of restaurant choices in two locations, and provide high quality cuisine that is both authentic and healthy. Our Dining Team is family-oriented and provides a friendly, interactive experience for our students and campus community. 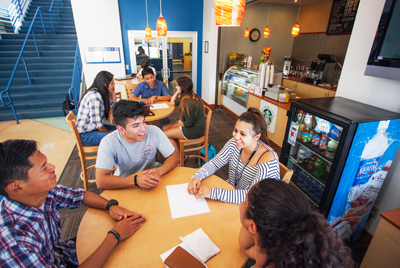 Provider Contract Food Service proudly manages Dining Services for HIU. 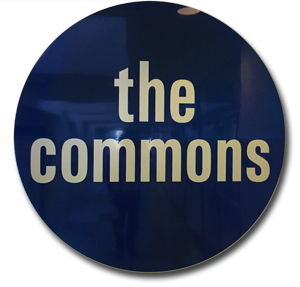 The Commons is the main Campus Restaurant. We transform the typical all-you-care-to-eat culture by artfully composing every plate, reminiscent of the feeling you have while visiting your favorite restaurant. Modeled after Spanish Tapas, our Dining Services offer restaurant quality fare in small-plate presentations. We encourage guests to explore and experience a variety of foods, offered in tasting-size portions. Our goal is for you to enjoy it so much that you can’t wait to come back for more. Our Culinary Team artfully composes every plate with care. We encourage you to visit the five main Composed Food Stations as well as the Salad, Dessert, Cereal & Beverage, and ‘Make Your Own Waffle’ Stations. Don’t forget to conclude your meal with a handcrafted dessert or soft serve ice cream. Watch the "art in action" right before your eyes! If you’re on the go, The Hub is your solution for great food and beverage options. We offer Espresso Drinks, Coffee, Grab n’ Go Sandwiches, Salads and Snacks. A Meal Swipe option is offered for lunch and dinner. Each Meal Swipe = One Entrée, one side and one beverage; just swipe and go. Take advantage of the seating lounge next to The Hub to meet friends, study or just hang out.